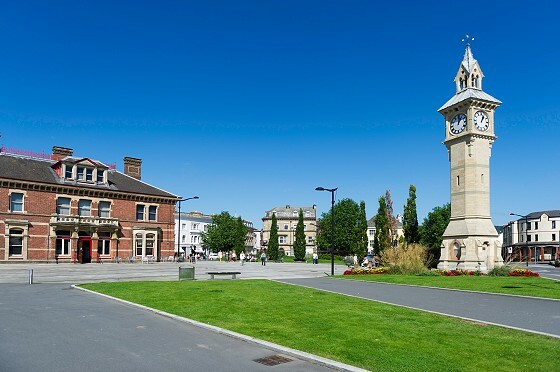 From those who live and work in the town, we’ve compiled a list of things to do in Barnstaple that fits perfectly around a one or two-night short break. This holiday inspiration is designed to incorporate many aspects of Barnstaple, showcasing all the town has to offer. The only difficulty is deciding in what order you’ll do these things and work out how to fit them into a luxury stay. 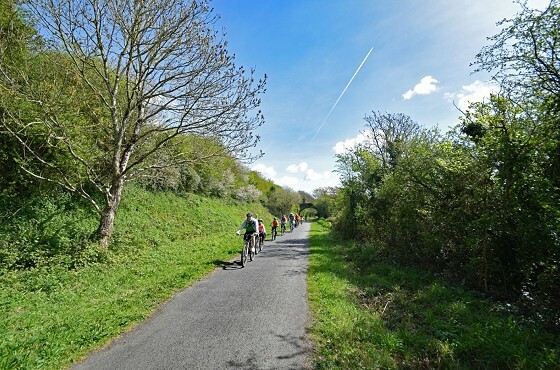 The Tarka Trail, which runs through the key points of North Devon to the popular village of Braunton before becoming the South West Coast Path to reach the sea, is always a key focal point of breaks in the area. Named after the stories of Tarka the Otter, the trail passes through Barnstaple and is found just the hotel by the edge of the River Taw. We’d recommend using a bike on the trail to move at a faster pace and to cover more distance. The trail is flat and paved, so cyclists and walkers can enjoy it simultaneously. There are a number of places in Barnstaple to hire a bike if needed, talk to the reception team for advice. They’ll also happily point you in the right direction at the start of your journey. Rock Park is a large space in central Barnstaple that is everything a classic park should be. It has spacious areas of grass, a big children's play area, sports facilities, toilets, refreshments in the summer and a riverside location. And it's only a five-minute walk from our hotel. 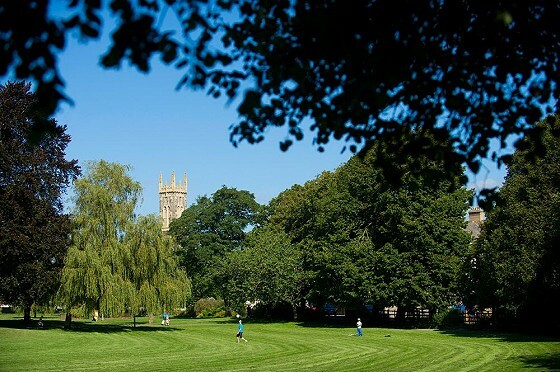 Families and couples alike choose to picnic here and we can’t think of anywhere better to do so. There are large trees to sit under for shade and lots of benches to relax on - you’ll quickly forget you’re in the middle of North Devon’s biggest town. The path that runs through the park connects to the Tarka Trail and is an alternative circular walking route. Opposite the green scenery, you'll find The Park Hotel - a sister company of ours. If you decide to have a relaxed lunch at their Seasons Bar you will receive 10% offer - this is a part of the Barnstaple Collection, more details below. The High Street, a series of side streets and large shopping centre make Barnstaple a great place to shop, whether it be for gifts or personal items. Wonder the vehicle free high street for a mixture of national chains and independent shops. At one end you’ll find Green Lanes Shopping Centre, filled with big names or look out for things you didn’t know you needed down the side roads that break off from the main street. 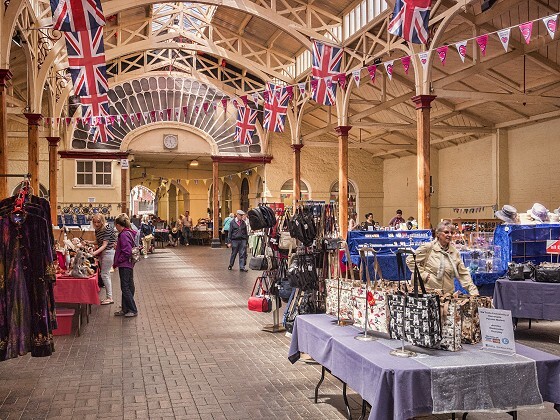 The historic Pannier Market is a key feature of the town, where you can shop for gifts, fruit and veg and unique items amongst the stalls run by friendly locals throughout the week. This free museum is the perfect way to learn all there is to know about Barnstaple. Located in the square, their collections and displays include the natural and human history of the country. PLEASE NOTE: The Museum is closed until summer 2019 for a redevelopment. During this time a Pop-up Museum has been created on the strand. The pop-up museum offers tourist information and acts as a museum reception to show how the redevelopment is going. Here you can view never before seen collections and share your stories about North Devon. Please feel free to go in and speak to the staff to learn about the history of Barnstaple. A small chapel in the heart of the town, St Anne’s is a miniature Gothic building. There are no records of when St. Anne’s was built but it is thought to date to the early 14th century. Acting as a chapel, a school and then a museum, today it is a small music and theatre venue but is worth taking in. See their list of events, taking place at various times of the day, to fully enjoy the building. With the Barnstaple Collection, there’s always a saving to be had on dining out. 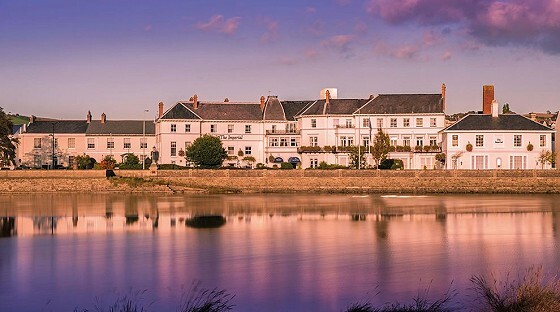 Whether it’s a pit stop lunch at 62 The Bank, afternoon tea at The Imperial Hotel (pictured below by the River Taw), or a sit-down carvery meal at The Barnstaple Hotel, there are discounts for all taste buds. A historic building in the centre of town, The Queen's Theatre puts on about 300 high quality professional and community events every year - so there’s always something to watch during a 48-hour stay. Shows include music, drama, comedy, dance, musicals, film, stand-up, children’s shows and pantomimes. Big names to make an appearance here in 2018 include Jimmy Carr, Ross Noble, Jason Manford, Pam Ayres, Russell Watson, internationally renowned Queen Tribute band The Bohemians, a tribute to George Michael, Derek Acorah (of Celebrity Big Brother) and Paul Merton in 2019. The following morning, you may feel in need of a refreshing swim in an outdoor pool, or perhaps you’ll wish to burn off yesterday's delicious meals in the gym. 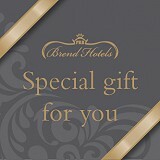 You can use the free facilities of our sister hotel - The Barnstaple Hotel. They have heated pools, both indoors and outside, along with leisure facilities and a gym. Make use of these facilities for free as a guest, it’s on us! Last but by no means least, no break to North Devon would be complete without a visit to its famous beaches. No matter where you stay, you’re never far from a wonderful stretch of golden sand and the blue sea! 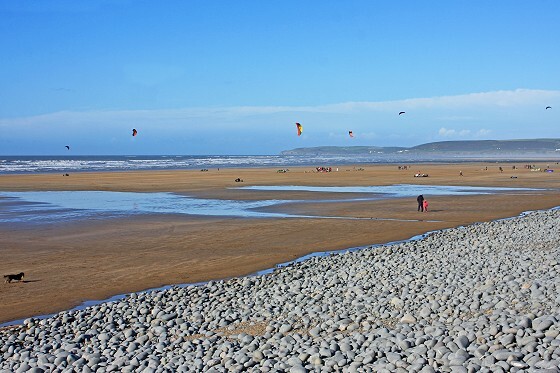 The closest iconic beaches to Barnstaple would be Saunton Sands and Westward Ho!, as both are reachable within a 30-minute drive. 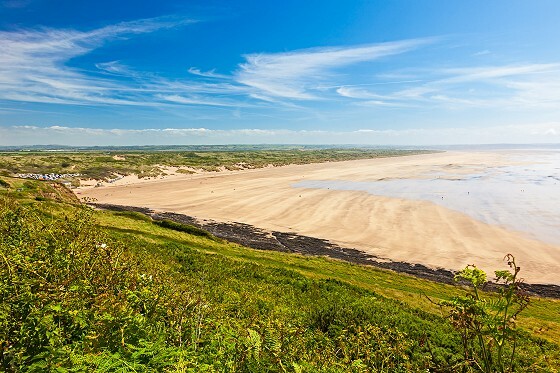 Saunton Sands is famous for its miles of beach and open ocean, perfect for a day on the sand sunbathing, playing sports and swimming or surfing. It’s also backed by the Braunton Burrows sand dunes which make for ideal sightseeing and walking opportunities. Meanwhile Westward Ho! 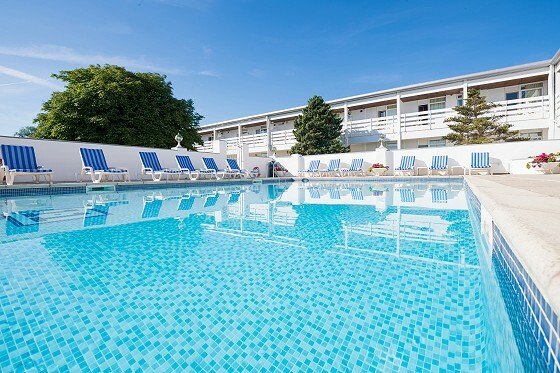 has a beach backed by a rocky sea-break alongside a range of arcades, attractions, games and places to eat - suited for a family looking for a varied day out. Book your 48 hours at The Royal and Fortescue Hotel and have a wonderful time, we hope this guide of things to do in Barnstaple helps with the planning of your break. Of course, feel free to ask us any questions you may have, and discover our latest offers to begin arranging your accommodation.